After wrapping up the first semester with a 1-8 record, the Lady Bears are low in numbers but they have been playing with a big heart. The Lady Bears returned six players from last year’s team and added four new players to the team. The injury bug hasn’t been nice to the Bears so far this season. They have played seven games with only six players and for the other two games they have competed with seven players. It is expected for the team to have 10 healthy players for the remainder of the season. The Lady Bears have faced a very tough schedule which included facing 4 top 10 National Christian College Athletics Association (NCCAA) opponents (Arlington Baptist College, Dallas Christian College, Manhattan Christian College, and Randall University) and an extremely athletic NAIA opponent Bethel College. Despite their record, Coach Mitchell believes his Lady Bears should still be able to compete in region and conference play for the second semester. Mitchell says, “The team has faced more adversity in one semester than most teams will experience in an entire season. I am proud of their effort they have played with so far this season. 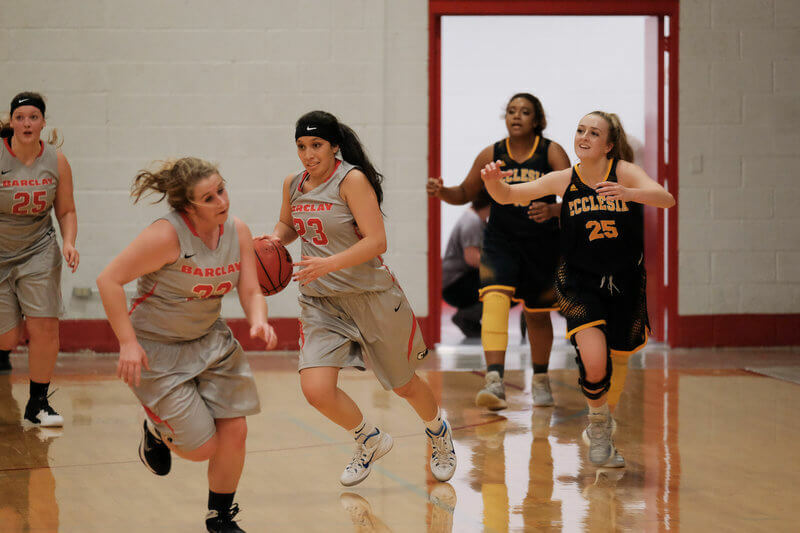 They are action takers and not excuse makers.” The Lady Bears will open the second semester with an exhibition game against Westminster College before traveling north to take on conference foe Central Christian College of the Bible in Moberly, Mo.